Everything you need to know if you’re interested in getting a second passport and/or residency in Monaco. There’s something about Monaco that ensures that the Mediterranean always glistens along the shores of the small European city-state. Situated between the French and Italian Rivieras and surrounded by mountains and warm beaches, the stunning panorama never fails to inspire. The alluring scenery isn’t the only draw of this micro-country one third the size of New York City’s Central Park, either. 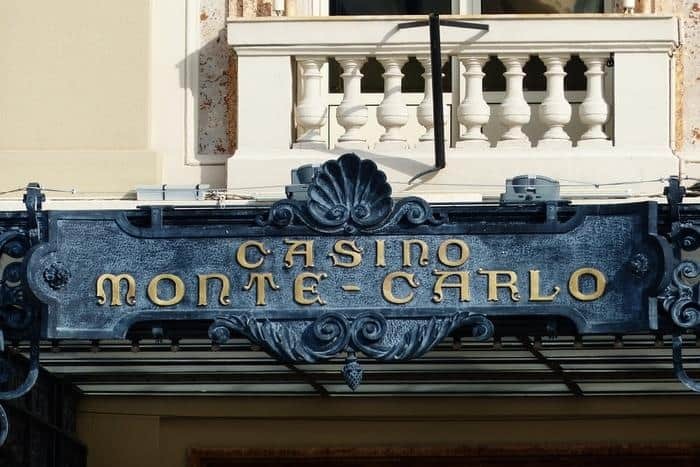 The Principality of Monaco’s classic Monte Carlo casino (of James Bond fame) is at the heart of the country’s prolific entertainment district and, even today, the streets of Monaco convert into the world’s most prestigious Formula One race track once a year. 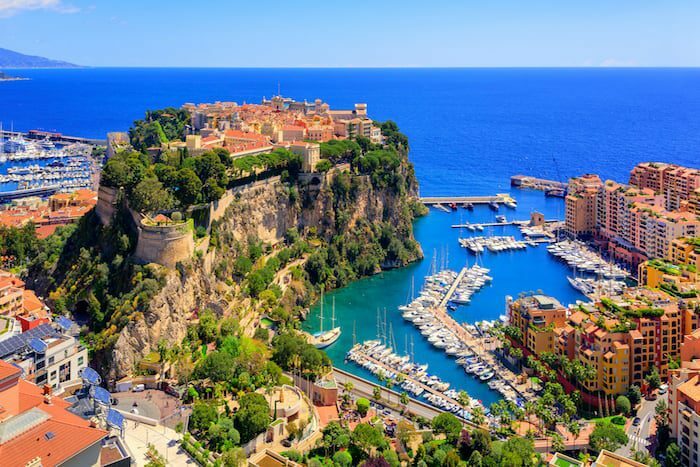 With mild winters, warm summers, incredible food, a marina full of yachts and a coast filled with luxurious homes, Monaco has a lot going in its favor. It’s also one of the safest countries in the world, with practically zero crime, high-tech security cameras throughout the city, and an abundant and active police force. Add to that the fact that Nice Cote d’Azur Airport is just a 30 minute drive away and you have a perfect base from which to travel throughout Europe and the rest of the world for both business and leisure purposes. It is no wonder that Monaco has long been a playground of the ultra-rich and one of the wealthiest countries in the world. But it’s not just the spectacular setting that draws the rich to the shores of Monaco. In fact, it’s the country’s tax policies that have ensured Monaco’s place on the map as a paradise for the rich throughout the past and into the present. Zero-income tax is one of the biggest reasons why richest of the rich come flocking to Monaco. 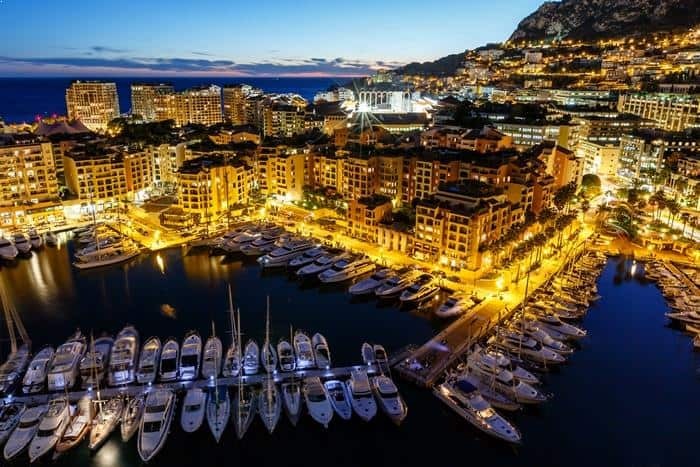 Monaco earned its reputation as a haven for the rich long before many other players in the offshore world even got into the game. In fact, the country chose to abolish its income tax in 1869 — almost a century and a half ago — making it the only sovereign zero-tax jurisdiction in Europe. Monaco has been in the zero tax game for a long time and it’s quite apparent that the strategy has worked well for them. While there is no direct taxation in Monaco, there are a few exceptions when it comes to taxes. First, French citizens cannot claim the income tax exemption, even if they live in Monaco year-round. Apparently, that was too easy of an out for French citizens who can cross the border for vacation, business, and living. Second, companies incorporated in Monaco are exempt from taxes unless more than 25% of their company revenue is derived from outside the country, in which case they are taxed at a rate of 33.3%. The same rate is applied to profits earned from patents and literary and artistic property rights no matter where the revenue is earned. There is also a value-added tax (VAT) that follows the same rates as in France. The current rate for most goods and services is 19.6%, but there is a reduced 10% rate for specific products, a 5.5% rate for basic needs such as food and transportation, and a special 2.1% rate for newspapers, medicines, and cultural performances. Finally, if gifted to beneficiaries in the direct line (parents, spouse, or children) there is no gift or inheritance tax. However, if assets located in Monaco are gifted to a brother or a sister of a resident of Monaco, there is an 8% tax due; and if gifted to someone unrelated to the resident of Monaco, there is a 16% tax due. 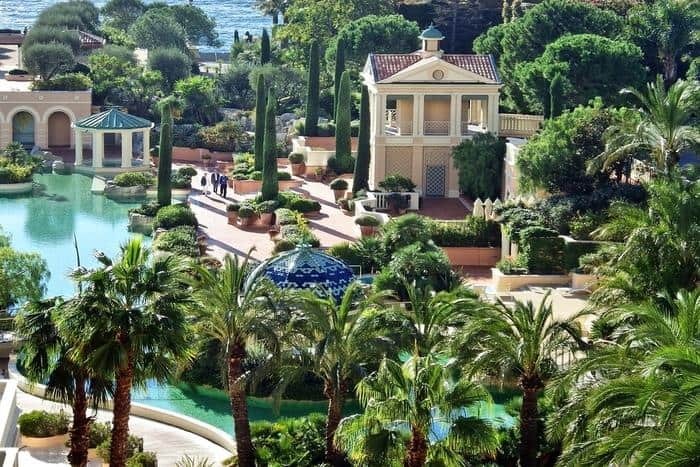 These few tax exceptions are so few and apply to such a scant minority of individuals (except for the VAT) that they have had little effect on the number of ultra-rich clamoring to reside in Monaco. Besides the attractive zero income tax, another reason for this is that, despite its reputation of almost unattainable wealth, obtaining residency in Monaco is actually more accessible than you might believe. There are different kinds of residence permits you can get, and you only have to spend three months in Monaco each year to keep them valid. There are three main paths toward becoming a resident of Monaco, two of which are rather unknown. The first path is through an employment contract. If you are offered employment by a Monegasque employer and can provide evidence of the offer through an employment contract, you can obtain Monaco residency. However, there are very few opportunities of this nature. The second path is through your own personal business. If you intend to set up a business in Monaco, you can qualify for residency after obtaining an official document authorizing the establishment of your business in the country. If you are in the banking and finance, pharmaceutical, or retail industry then Monaco may be a good fit for you, but with a population of roughly 38,000 your best bet is to market to the 30,000+ tourists who visit the country each year. If you’re not ready to compete in Monaco’s luxury-level tourism industry, then you’re best path toward residency is to demonstrate your wealth. We’ll get into the exact details of how to prove your wealth in just a moment but, in general, the process involves opening a bank account in Monaco and depositing at least EUR 500,000 and then presenting a bank reference letter to the government stating that you have sufficient funds to support yourself in the country. There are three stages of the residency process, each with a different renewal timeline and required residency period. The first stage is the carte de sejour temporaire (or temporary residence card), which gives you permission to reside in Monaco for a twelve month period. Of those twelve months, you are only required to live in Monaco for three months to maintain the validity of your residency. At the end of the first twelve months, you must renew your temporary residency card for another year-long period. This stage lasts three years (two renewals total), before you can enter the second stage of residency. Upon completion of your third year of residency, you can upgrade to the carte de sejour ordinaire (or ordinary residence card) when you apply to renew your residency. This card is good for a three year period and has the same three-months-a-year residency requirement to maintain its validity. You can renew this card for another three year period as many times as you would like. However, for those who plan to reside in Monaco more than three months out of the year, there is a third stage of residency that will allow you to stay in the country for ten years without a need to renew your passport every three years. After nine years of residence in Monaco — three temporary residence cards (3 years) and two ordinary residence cards (6 years) — you can then apply for the carte de sêjour privilegie (or privileged residence card). As mentioned, the privileged residence card is good for a ten-year timeline. However, this card comes with a longer residency requirement period. In order to maintain the validity of your privileged residence card, you must reside in Monaco at least 183 days each year. While six months may be a long time for many Nomad Capitalists to spend in one place, for those interested in Monaco citizenship (more on that in a minute), this is the path they must take. 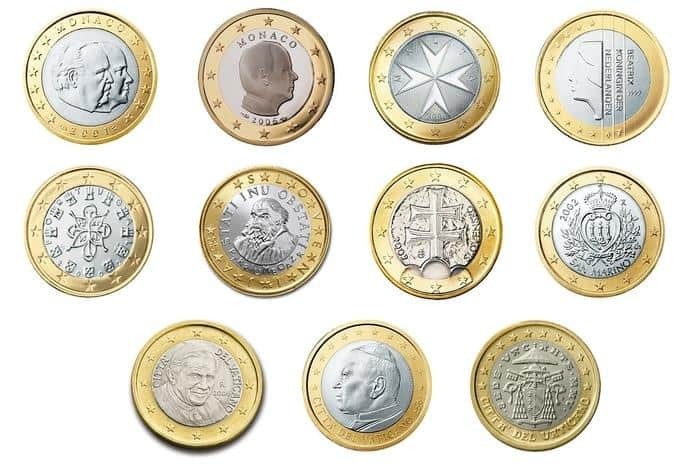 Not to much surprise, non-EEA citizens will need a lot more documentation and time to get Monaco residency. While the renewal process is a relatively smooth procedure, the initial application process is not as simple and will require a good deal of time and paperwork. In fact, it usually takes four to six months (sometimes more) to complete the entire application. For citizens of the European Economic Area (EEA), there will be fewer steps. While non-EEA nationals can visit Monaco visa-free if they have a Schengen visa, those who wish to become residents of the city-state must first apply for a long-stay visa via the French Consulate closest to them. If you are already in Monaco, you can apply directly at the French Embassy. Furthermore, non-EEA nationals who have been living in France for over a year can apply to transfer their residency to Monaco and skip the long-stay visa application process. Once you obtain your long-stay visa (or transfer your residency), you will then be at the same point as citizens of the EEA just beginning the application process. 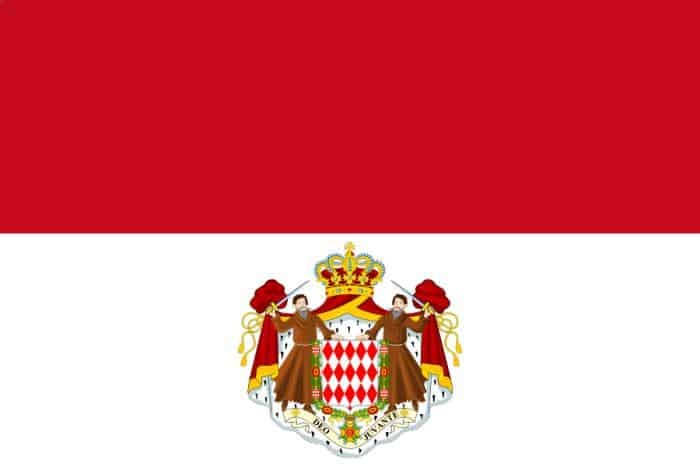 The Monegasque government is looking for three things from all applicants: proof of accommodation in Monaco, proof of sufficient financial resources, and proof of good character. To guarantee that an applicant qualifies, the government will require several documents. Some are the standard documents any government will request, such as the residency application forms (which you can obtain from the Surete Publique), a valid passport, the applicant’s birth certificate and any marriage or divorce certificates if appropriate. They may also request information regarding the applicant’s education and professional background and will want to see that the applicant has acquired health insurance that covers Monaco. A lease for a minimum of one year for a property in Monaco, OR Proof that you are living with a close relative, such as a spouse or partner. Applicants must also provide an electricity contract for the property where they will live. It is also important to note that the size of any property must correspond to the number of people living there. For example, a couple may rent a one bedroom apartment, but a family of four must rent or purchase accommodation with at least two bedrooms. While there is no requirement to purchase real estate in Monaco in order to qualify for residency, it is an attractive option if you have the money. 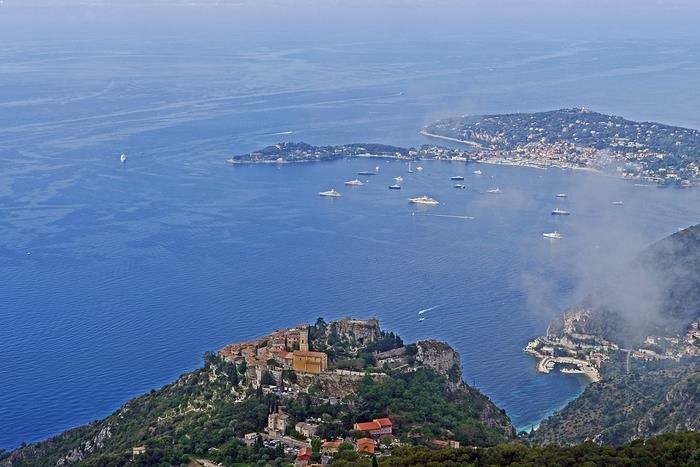 With a limited supply of land and a large supply of ultra-wealthy buyers, real estate in Monaco is very secure. In any other country, I would be wary of a place where real estate is “always going up”, but in a tiny tax-free country that everyone wants into, the trajectory has nowhere to go but up. If you’re not too keen on renting, purchasing a home in Monaco* could be a great way to both prove accommodation and invest in secure real estate. While €1 million would only get you about 15 m2 of space (making Monaco the most expensive place in the world to buy real estate), you can expect great returns. If you plan on renting out your property, there is a 1% tax, but you are allowed to pass that tax on to the tenant. The best news of all, though, is that Monaco has no property tax, making it one of the few countries in the world where you truly own your home. Proving your financial resources is the most important part of the entire residency application. Surprisingly, while it can be difficult to obtain, the barrier to entry is not as high as many would assume it to be. There are several ways to prove that you have sufficient financial resources. The first option is if you have an employment contract and can provide evidence of your salary. The second option is similar in that you must provide proof of professional income from independent commercial activity or through a company. You can also show evidence that you are being supported by a spouse or partner. 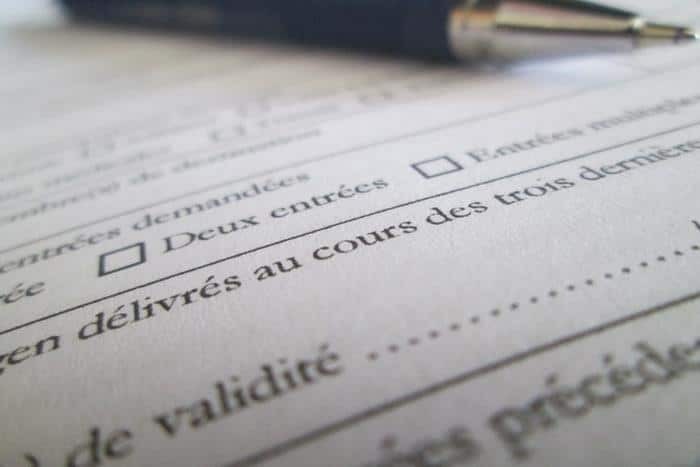 The third option is the one most commonly used and requires that you obtain a bank letter (written in French) from a Monaco bank stating that you have sufficient savings to live in the country. Interestingly, the necessary sum is not determined by the Monegasque government, but by the banks themselves. The amount an applicant must deposit varies depending on the bank and the applicant’s connections in the country. Many banks require a minimum deposit of one million euros to establish a relationship*, but the average amount requested is more around EUR 500,000. Of the 35 banks in the country, you may find one or two banks that request a lower amount, but without the right connections, you should expect to be in the EUR 500,000 range or higher. When you consider that Monaco is practically a tax-free zone and compare it to other residency and citizenship programs in similar countries, the proof of financial resources requirements are quite reasonable. *There are no restrictions on foreigners for opening bank accounts or owning real estate in Monaco. The final paperwork requirement in the application process is to prove good character. To do this, you must supply a copy of your criminal records information from the last two countries in which you have resided in the past five years before arriving in Monaco. You must be able to prove a completely clean criminal record in order to enter the Principality of Monaco. If you cannot do so with 100% certainty, I would not recommend applying in the first place. They will not let you in. Once you have gathered all your documents, including the bank letter confirming your deposit (remember, it MUST be written in French), you can then contact the Residents Section of the Directorate of Public Security and schedule an official residency interview. You must bring all the required documents to the interview where you will pay a €10 fee for the card, submit your documents, and undergo a series of questions about your family, education, work experience, and other qualifications. Following the interview, your application will be processed and authorized. EU passport holders can expect their card to be authorized within eight weeks. Non-EU citizens on the other hand typically wait anywhere from sixteen to twenty weeks to receive their Monaco residency card to be processed and authorized after their interview. Monaco is not a cheap country to live in, but the good news is that your children can easily be granted citizenship, as long as they’re underage at the time you’re applying. Of the 38,000 residents currently living in Monaco, only about 8,000 of them are citizens. If you are interested in becoming citizen number 8,001, there are a few things you should know about becoming a citizen of Monaco. First and foremost, dual citizenship is forbidden in Monaco. 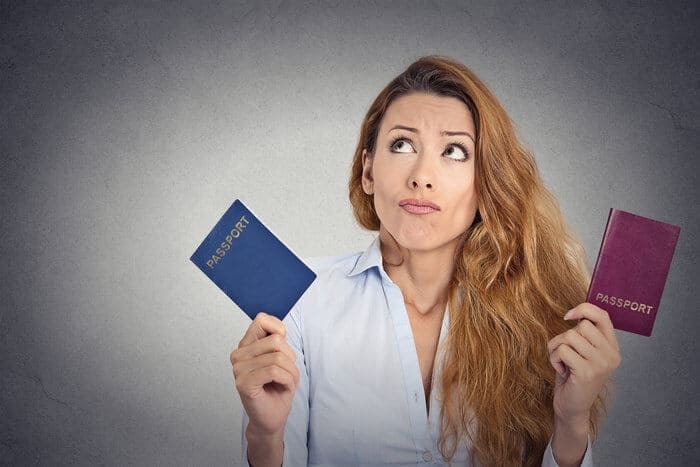 If you were ever granted citizenship, you would need to renounce any other citizenships you may have at the time and would only be able to acquire a new citizenship by giving up your Monegasque passport. If this doesn’t dissuade you, then you can follow the steps to become a naturalized citizen of Monaco. The main requirement is that, at the time of application, you must have resided in Monaco for a minimum of ten continuous years since the age of 18. Technically, this means that if you have lived full-time in Monaco since you first became a resident, you could apply for citizenship within a year after obtaining your Privileged Resident Card. 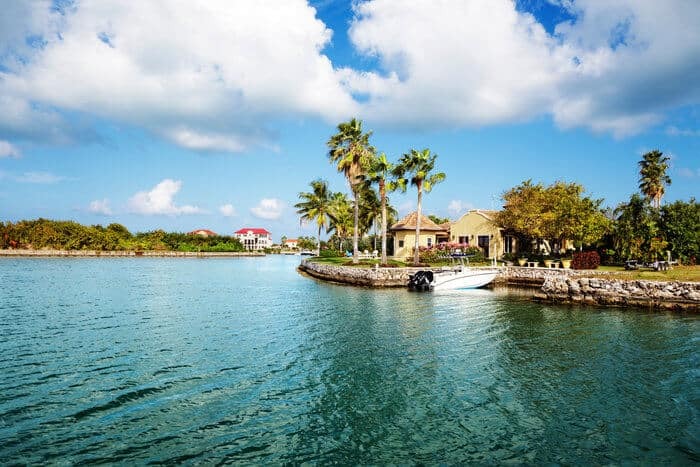 If you are a Nomad, this decade-long sentence of living on a tiny stretch of coastline might not be worth the trade-off, even if the casinos, food, and races are world-renowned and the taxes practically non-existent. Individuals from countries that do not tax their worldwide income (ahem, almost everyone except for citizens of the United States), can get by just fine as residents of Monaco, taking advantage of the zero personal tax rate without the greater restrictions on movement required for citizenship. If you do decide that Monaco citizenship is for you, you’ll be happy to know that the Monegasque nationality is automatically granted to children of naturalized citizens who are under 18 at the time of their parent’s naturalization. The same applies to a non-Monegasque woman widowed by a Monegasque husband. The other great news is that Monaco has one of the best passports in the world, with visa-free access to 160 countries. While most rankings out there list Monaco as the 15th most powerful passport in the world, the more complete Nomad Passport Index takes into account the fact that Monaco forbids dual citizenship, which pushes the Monegasque passport to 29th overall alongside the passports from Malaysia, Norway, South Korea, and Estonia. Renting an apartment in this city-state is anything but affordable and prices for just about anything can easily be eyebrow-raising. Before you make any decisions, though, its best to not only consider what the lifestyle is like in Monaco but what that lifestyle actually costs. While some prices are similar to most western countries, other goods and services can cost you an arm and a leg. 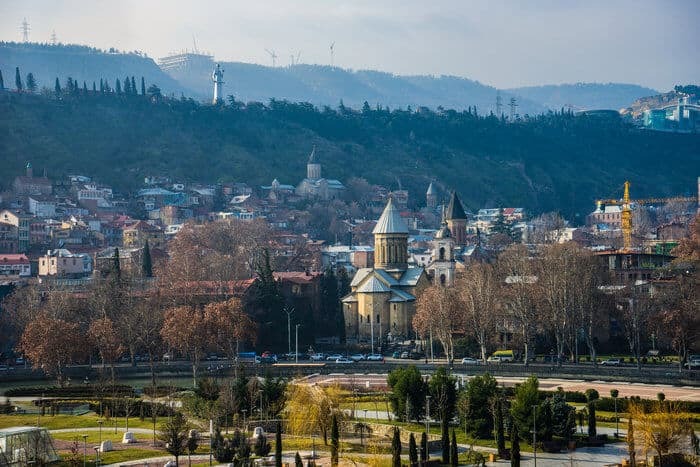 For instance, a one bedroom apartment in the city center will go for roughly $4,000 a month while a three bedroom apartment — even outside the city center — will rent out for an average of $13,500 a month and upwards of $19,000 in the city center. In fact, apartments in Monaco are at a 100-300% premium to the already high prices of the French Riviera right next door. Restaurants range from $20-$35 for inexpensive options and upwards of $130 for a three course meal for two at a mid-range restaurant. Groceries such as eggs can cost more than $5 a dozen, but prices for apples and other similar fruits are on par with the prices you would find anywhere else in the western world. Transportation can get quite expensive in Monaco. A gallon of gas is close to the $7 mark, making public transportation options much more attractive — even if they’re not that much better. If you’re looking to buy a property of your own, the price per square foot to buy an apartment in the city center is over $6,400 while prices drop to about $4,275 per square foot outside the center. But don’t expect overall prices to drop in Monaco’s real estate market. In case you’ve got enough money, investing in real estate in Monaco is one of the best moves you can make, since the prices will only rise due to demand. Monaco is expected to attract many more successful entrepreneurs in the future who are in the market for a second, or sometimes even third or fourth, home. According to the World Ultra Wealth Report, Monaco is currently in the top ten of most popular second home destinations in the world. Nevertheless, because the demand is increasing and the supply is fairly short with limited expansion possibilities, real estate investments can be very profitable. Investors who want to spend their dollars or pounds are also drawn in by the relatively weak Euro, which can make them some extra money. Investing in high-value real estate has always been popular with successful businessmen, which will likely continue to be the case as the current economy is building momentum. The property in this area is not only considered a good investment and a great place to spend a holiday but it has also become a status symbol to own a prestigious house in Monaco. To understand how truly lucrative real estate in Monaco can be, all you need do is look at the `La Petite Afrique` project developed by the royal Casiraghis. Andrea and Pierre Casiraghi are the sons of Princess Caroline and the grandchildren of the late princess of Monaco, Grace Kelly. Their state of the art project revamped an abandoned bank office into extremely luxurious apartments. The location makes it even more unique and pricey as it is next to the popular and famous Casino Square. The apartments were designed by Brazilian architect Isay Weinfeld and were finished in 2016. All of them have already been sold. In fact, they were all sold within months after the presentation of the plans in 2013. With prices starting at €100,000 per square meter, it’s a good example of the ‘if you build it they will come’ mentality in Monaco. It all comes down to your lifestyle preferences – if you want to make sure that your place of residence clearly marks your status, then Monaco is the place to be. Monaco has many great features that attract people from all over the world to its shores. It certainly isn’t the most modern city in the world and you will find that it often lacks some of the simple services you would expect in Europe (like accessible ATMs), but it is the old school feeling that adds to the Monaco vibe. If you are looking for a place where people are constantly innovating, researching investment opportunities, and finding ways to constantly grow their wealth, then don’t look to Monaco. However, if you’re looking to spend luxurious evenings on the Mediterranean while sipping vino and driving fast cars, then you couldn’t find a better place than Monaco. Monaco is a place to go to enjoy your wealth, not necessarily to acquire it. The timeline to citizenship does not appeal to me, but the residency options in Monaco are extremely attractive considering that it is a de facto participant in Europe’s Schengen area and offers quick access to all of Europe and much of the world. More importantly, Monaco’s exclusivity and proximity to France and the rest of Europe makes it a more serious tax residency than some tiny island in the middle of the ocean. For that and that alone, I would recommend Monaco over many other competing locations, as long as you have the money to hand over. Excellent article, told me everything I needed to know, many thanks. Thank you for the kind words, Lex, we’re glad to help. What are options for medical insurance while living in Monaco as resident? I always like this country and i want to live. I m indian i like always this country. I want to go now. Where are places “..where people are constantly innovating, researching investment opportunities, and finding ways to constantly grow their wealth..”? Such a place sounds perfect to me! Very good and well informed artical , i worked in Monaco around the mid 80’s, one thing i would add is that when you are a citizan you can take advantage of the state subsidized housing supply and if lucky get a lovely place for a pittance !! !